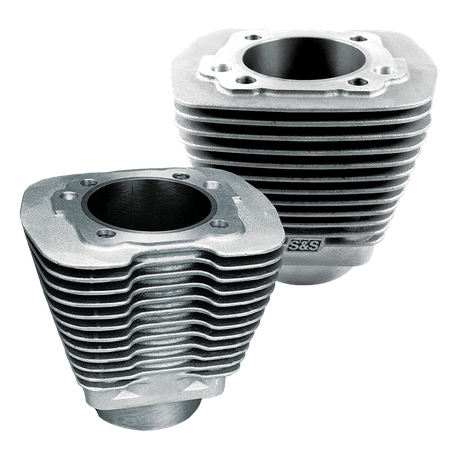 3-1/2" bore cylinders for Stock, S&S® Performance, and Super Stock® Heads. 1984–'99 big twins. On top of being constructed from superior materials, S&S replacement cylinders have thicker castings, larger cooling fins, and better wear resistance than stock cylinders. Super Stock® pistons for 80" engines can be used with stock 80" flywheels without rebalancing.